EyePeterborough > News > Eye > Vehicle crime – what can you do about it? Vehicle crime – what can you do about it? As the nights get longer November is one of the worse months for car crime and there have been numerous reports of cars being broken into in the village, but what can you do about it? It’s all too easy in the rush to put the shopping away or the chaos of getting the kids in the house to forget to lock the car or leave a window open making the vehicle a lot easier to steal. Make sure it’s locked! Steering wheel locks or other similar devices can add an extra deterrent. Most car thefts are by opportunists. Leaving anything on view in your car is like having a sign on the side of the car saying steal me. Don’t think just because it hasn’t happened before it won’t happen. We should all know not to leave items such as handbags, mobile phones, sat navs or money on show but more benign items like sat nav holders, phone leads and coats, for example, can all increase the risk of your car getting broken into. If you have to leave something in the car lock it in the boot. Even if nothing is stolen repairing a side window can cost up to £200, repairing a lock even more so its worth doing everything you can to reduce the chances of someone even making the attempt. 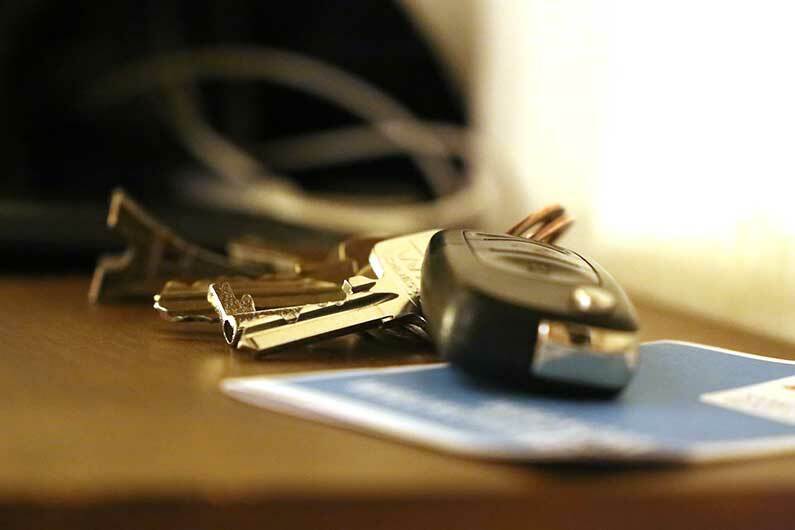 Many leave their car keys in the hallway, on the stairs or kitchen. Thieves are aware of this and may try the back door because many people leave them unlocked or try to reach the key from the letterbox. Put them somewhere out of site. If you go away and leave the car at home make sure you put your keys somewhere super safe. There is also a marked increase in the number if keyless cars that are being stolen. Keyless cars have a fob, not a key if it’s in range the doors of the car can be unlocked or started. Its similar to the way a contactless credit card work. Criminals have got wise to this and found ways to boost the signal and range so even if the fob is in the house the car will still unlock the door and even start. Example released by West Midlands Police shows this being done. You may think the car would stop once out of range but due to safety considerations, the cars do not switch off once they are out of range of the fob, while this is important for safety it does give the criminals an easy getaway. This type of theft is predominantly used by organised gangs, it’s more likely that the thefts in the village are caused by opportunists. One way to protect against this is to keep keyless entry keys away from doors and windows and in a shielded protection case. You can purchase specially shielded cases online or make one yourself by lining a closed metal tin with cardboard. For a car that’s worth thousands, it is a small investment. If you have the fob attached to a bunch of keys your probably going to want to use a larger metal container of some sort. Thieves are less likely to break into a car that is covered by CCTV. They can also provide evidence in the case of a crime. A basic system can be brought for around £100 online. The YouTube video below is an example to what you will find in one of the cheaper systems, other makes are available. A minimum 1080p system is recommended. They do take some skill to install, especially the power/signal cables, an alternative is a wireless system. If you have any doubts talk to a professional. 5. Never leave anything with your name and address in the car. If your car is away from home there is also a risk that the criminals may visit your house assuming nobody is there. In summary, don’t make it easy. In April 2018 Autoexpress reported that: “Some 89,000 vehicles were stolen in 2017, up from 56,000 the previous year, and the worst year on record since 2012. Attempted vehicle thefts rose from 153,000 in 2016 to 196,000 last year, while incidents of items being stolen from cars went up from 796,000 in 2016 to 929,000 last year – a 17 per cent increase.” Between October 2017 and September 2018 there were 2323 reported vehicle crimes in Peterborough. The more insurance claims in a postcode area the higher premiums will rise for everyone. If you see a crime in progress call the police on 999. If it is less urgent call the police on 101. Always make sure you get a crime reference number.